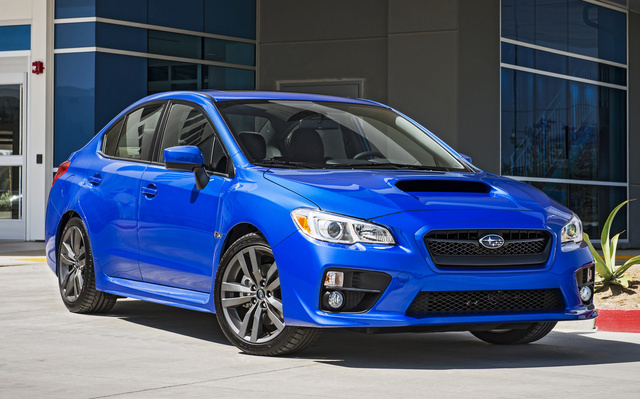 CarGurus has 4,698 nationwide WRX listings starting at $13,981. For anyone who’s not necessarily “into” cars, the local Subaru dealership is the land of Outbacks and Foresters, those hardy all-wheel-drive (AWD) vehicles known for powering over the piles of snow in the driveway and basically just offering great all-around practicality for the price. But for a much smaller subset of drivers, the local Subaru dealership is the quickest route to a new WRX, the 4-door 4-seat sedan model known for offering great driving dynamics for the price—especially the WRX STI, a slightly more performance-oriented version of the WRX that's covered separately here at CarGurus. But the WRX offers utility as well, enough reliability and cargo space to justify ownership for those who straddle the line between track-day enthusiast and die-hard commuter. The WRX saw a major redesign for the 2015 model year and so its updates remain minimal for 2017 (keep in mind the WRX was the Impreza WRX before the redesign). The model is still available in three trims: Standard, Premium, and Limited. As with all Subarus, the automaker’s “Symmetrical” AWD system comes standard on each trim, moving torque between the wheels in order to maintain grip during the tight cornering any seriously driven WRX is likely to encounter. There’s also no WRX hatchback, though that’s likely old news at this point, as the Impreza WRX hatchback didn’t actually make it through the redesign a couple years back. All WRX trims are powered by a turbocharged 2.0-liter 4-cylinder engine producing 268 hp and 258 lb-ft of torque, decent if not phenomenal numbers for a vehicle of its size and weight (the WRX actually lost weight during the redesign). The engine cylinders are horizontally opposed—another universal feature among Subaru models—lowering the WRX’s center of gravity and making for a more evenly powered drivetrain. A 6-speed manual transmission comes standard, and the Premium and Limited offer an optional continuously variable transmission (CVT), which Subaru dubs the “Sport Lineartronic,” and which includes paddle shifters and a manual mode. EPA fuel-economy numbers for the 2017 model check in at 20 mpg city/27 highway/23 combined with the manual and 18/24/21 with the CVT. There are, of course, a few changes for 2017, as there must always be when an automaker christens a new model-year vehicle. But the changes are very few. A new tricot headliner graces the interior, and the base Standard trim finally offers auto on/off headlights. WRX Limited trims equipped with Subaru’s EyeSight safety system also now include Reverse Auto Braking. The WRX Standard starts off with cloth upholstery and Subaru’s Starlink infotainment system routed through a 6.2-inch touchscreen display. The Starlink system features an AM/FM stereo with a single-disc CD player, SiriusXM satellite radio, HD Radio, and familiar wireless features like Bluetooth connectivity and Pandora radio. The Premium adds items like heated seats and a moonroof (not to mention the CVT). And the Limited introduces luxury features like leather seats, an 8-way power driver’s seat, and LED low-beam headlights. An upgraded Starlink system is available (standard on the Limited), with SMS messaging capability and a 7-inch high-resolution touchscreen with multi-touch gesture control. Those looking for better sound can also opt for a Harman Kardon audio system. A rear-view camera comes standard on all trims. A good reason for choosing the WRX Limited is that it offers EyeSight (mentioned above), Subaru’s highly rated proprietary safety system. EyeSight uses a special camera setup to provide exceptional vehicle awareness and is integrated with the adaptive cruise control, collision-prevention braking, and lane-departure warning systems. It also includes steering-responsive fog lights, which react to the vehicle’s speed and steering angle in order to provide additional illumination in the direction of the turn. Choosing the EyeSight package for the Limited also gets you the Harman Kardon sound system, keyless access, and push-button start. The National Highway Traffic Safety Administration did not test the 2016 WRX, but the model did earn a top score of Good on every test with the Insurance Institute for Highway Safety, along with the IIHS’s coveted Top Safety Pick+ rating. The WRX will afford unusually good peace of mind to those who jump inside in order to do the kind of hard rally driving for which it’s essentially designed (though perhaps, in that case, the cruise control won’t matter quite as much). The Subaru WRX more or less represents one of those cars that probably isn’t quite for you if you don’t already know about it. 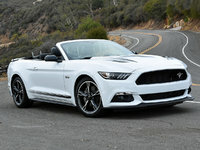 The driving enthusiasts who want an affordable car to power around the track or roadways are going to know to look here. And the WRX certainly is affordable, with the 2017 model starting just north of $26,500 and reaching close to $31,000 for the top-tier Limited. Come on—it’ll even hold your groceries and dry cleaning on the way home. What's your take on the 2017 Subaru WRX? Have you driven a 2017 Subaru WRX?